For Miljenko Grgich wine came after mother’s milk. Literally. When he was two and a half years old, Grgich’s mother weaned him to a mixture of half water and half wine. Fifty years later, in 1976, he made history by upstaging European wine with his California chardonnay. 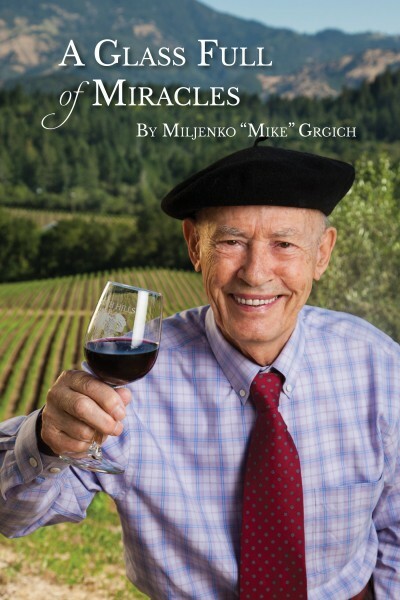 Grgich will release his autobiography, A Glass Full of Miracles, when he turns ninety three on April 1. 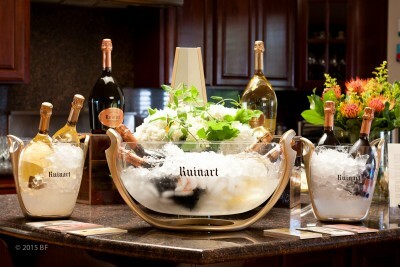 The following month marks the fortieth anniversary of the Tasting of Paris. Named after the postman who brought a largess of $5 every Christmas from his sister in the United States, Grgich was the youngest of eleven children. He came a long way from his small village of Desne that lies under the shadow of the Babina Gomila mountain range to its north. As a little boy in Croatia, Grgich grazed his family’s sheep on these slopes. His father was a winemaker and Grgich pressed grapes with his feet almost from the time he could stand. A man of many firsts, Grgich went to college in Split, graduating with a business degree in three years. At the end of a year working as an accountant, he realized that his passion lay in winemaking. Having learned the craft from his father, he nevertheless understood the role of science in the art of making great wines. Consequently, he enrolled at the University of Zagreb, one of the oldest universities in southeastern Europe, to study enology and viticulture. In his last two years at the university, he worked on a thesis on grape varieties in the Neretva River Valley in Metković. But before he could finish his dissertation, he fled his homeland. Like many Eastern European countries around World War II, Croatia, one of six states in Yugoslavia, had seen waves of tyrannical governments come and go. Grgich survived the Fascists and the Nazis; but the Communists under Josip Broz Tito came to stay, making their presence felt in academic institutions by the time Grgich enrolled at Zagreb. One day a friend whispered that the secret police were following Grgich for supporting a professor who had pointed out inconsistencies in a communist manual. Knowing it was merely a matter of time before he was hauled into prison, Grgich left Yugoslavia in 1954. He asked a cobbler friend to stitch within the sole of his shoe the USD32 he had amassed over the years. Without telling his parents, he boarded a train with an offer for an internship to work the harvest for a farmer in West Germany. With him he carried his books on enology. After working for two months in Germany he applied for political asylum, not realizing that he was one of 12 million Eastern Europeans who had the same idea. Sent to an internment camp in Nuremberg, convinced he would never reach idyllic California, he was slipping into despair when his host family stood guarantee for him. He lived with them for a year, then followed a circuitous route via Canada to Napa Valley, California, where he arrived in 1958. His knowledge of enology gained him admittance into the best-known wineries at the time – Souverain, Christian Brothers Winery and Beaulieu Vineyards. At the latter winery, he met wine legend André Tchelistcheff, a French-trained winemaker who practised the scientific method. Tchelistcheff invited him to sub for two months for his wine chemist who had taken ill. That grew into a full-time job which lasted nine years. It was a period of great learning. With Tchelistcheff, he worked on malolactic fermentation, which converts malic acid into a weaker lactic acid. They controlled this naturally occurring process by introducing bacteria into all their red wine. The scale was unprecedented. They solved the problem of yeast and bacteria flowing into wine bottles through using the double filtration system. Continuing to blaze a trail, he experimented on cold fermentation of white wines to preserve their aromas and flavors, a process that would help him greatly in the making of his prize-winning chardonnay. 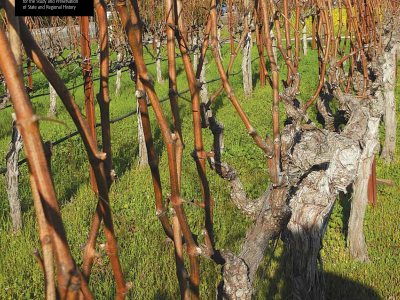 Grgich’s narrative is a tour in historical Napa Valley. In the 1960s, three groups worked together to catch up to European wines. The collaboration among researchers at UC Davis, the Napa Valley Vintners Association, and the Wine Technical Group, composed of winemakers, led to quick progress. In 1968, Grgich found work with Robert Mondavi, another icon of the wine industry at the time. But the highest point in a high-flying career was the chardonnay he made as the winemaker at Chateau Montelena in 1973, his second vintage at the winery. He had used cold fermentation, not put the wine through malolactic fermentation so it retained its crispness, and aged it eight months in year-old French barrels. He made only 800 cases of this wine. At a tasting at the Intercontinental Hotel in Paris on May 24, 1976, his chardonnay won top honors. Back in Napa, Grgich accepted the news with characteristic disbelief: He felt ‘reborn.’ This recognition opened a whole new world for Grgich. He now bought 20 acres of land in Rutherford and started a winery with Austin Hills, owner of Hills Bros coffee, who put in the capital. For good luck, he bought the second-hand wine press he had used at Chateau Montelena. Called Grgich Hills, the winery produced its first chardonnay in 1977. As he continued to wine accolades for his work, he had one wish remaining – to return to his beloved Croatia. That opportunity presented itself when Croatia became independent in 1991. Five years later, he opened the Grgich Vina winery. His lucky wine press sits in that winery. A final act of closure came when the University of Zagreb graduated him. A UC Davis professor had said in Grgich’s early years that a computer would one day make the perfect wine. Five years later the same professor said that an artist winemaker would make the perfect wine. Through his assistant I asked Grgich what he thought now. His answer was most definitely the human: After all, he said, he doesn’t use a computer but can make great wine. The Smithsonian has on display Grgich’s famous French beret and the cardboard box that contained all his belongings when he left his country. The Chateau Montelena chardonnay from 1976, which forced the European wine establishment to notice California, is also on display.